Ola M. (Purdie) Womack, 67, Junction City, Kansas, passed away on July 19, 2017, while being cared for and looked after at Good Shepherd Homecare and Hospice in Manhattan, Kansas. She was born April 6, 1950 at Irwin Army Hospital in Fort Riley, Kansas, to Willie and Mae Ola (Austin) Purdie. She was a 1968 alumna of Junction City Senior High School. Around 1973, Ola had finished the nursing program at Manhattan Vocational Technical School and had accomplished her goal of becoming a Licensed Practical Nurse in order to help so many people. As an L.P.N., she worked at Valley View Nursing Home and Geary Community Hospital in Junction City and then Irwin Army Community Hospital in Fort Riley. On May 25, 1979, Ola had married the late Milton H. Womack, whom passed away February 11, 1993, in Junction City and soon moved to the neighborhood of Westwood, surrounded by her late mother, her late grandmother and step grandfather, Asoler (McQuiller) and Reverend Thomas Henderson, her late brother, Verlin Larail Tarver and her late great uncle and great aunt, James and Ida McQuiller, and wonderful new neighbors that felt like a great addition to the family. Not long afterwards, Ola became a member of the Order of the Eastern Stars and the Ladies Auxiliary of the Veterans of Foreign Wars Post #8773 as well as a volunteer for Berry Electa's Daughters and Sons Youth Fraternity, a youth group aimed at the daughters and sons of those who were part of Prince Hall Freemasonry in Geary County. As of August 1993, she completed her Associate’s Degree of Nursing at Barton County Community College and became a Registered Nurse working at Junction City Senior High School and Good Samaritan in Junction City, Wakefield Rehabilitation Center Nursing Home in Wakefield and Advocare Home Specialty Care For Northeast Kansas in Wamego, Kansas. It was around 2013, that Ola decided to retire and spend her days and nights watching movies, along with some of her favorite television shows like "Dancing With the Stars", "Flash", "Scorpion", "Person of Interest", "The Young and the Restless", and "Once Upon A Time" to name a few. In her spare time, Ola enjoyed talking to her son on the phone for hours as well as seeing how a number of family members were doing, especially when it came to new and exciting events, such as the marriage or arrival of an offspring for the younger family members. As much as possible, Ola was always about putting family first by attending anniversary parties, birthdays, weddings, funerals and attending as many family reunions as possible in order to stay updated with who's who and by attempting to follow the family tree. Things like this were highly important to her in order to try to trace the family bloodline, whether or not it was winter, summer, spring or fall. Nothing was going to stop Ola for pursing her goals in life. In addition to the previous, Ola also enjoyed listening to music, mostly Gospel. Ola also enjoyed challenging herself from time to time, like when she bought a computer back in 1999 and quickly adapted to the new technological era by teaching her son a few things like chat shorthand and how to stop so many programs from loading up in the background when rebooting the computer. Even though her son was strongly against it, Ola had even contemplated on renting an electric saw so that she could cut down some of the overgrown limbs growing on the trees in her yard. Ola's time on this Earth was greatly appreciated as a mother, wife, daughter, sister, niece, cousin, caretaker, confidant and friend. Many people whom had come across Ola were most likely appreciative of her outlook on life, whether it was by exploring new areas if one got lost during a road trip or by seeing things from a different perspective, which caused her to be wise here on Earth, allowing her to give great advice and guidance. 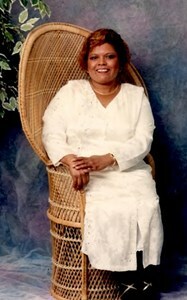 In addition to her parents and husband, Ola was also preceded in death by: her sister and brother in law, Virgie M. (Purdie) and James E. Autman; her uncle, Richard Dumas; her stepfather, Verlin Tarver; her brothers in law, James E. and Johnny Ray Womack; her sisters in law, Geraldine Dozier, Minnie Clyde Ford and Mattie Lou Smith; and her step nephew Joe Neal Smith. Survivors include McKinley "Kinney" McGill of Pittsburgh, PA; brother, Larry Leas of Grand Island, NE; aunts, Helen Smith of Grand Prairie, TX, and Irene Turner of Round Rock, TX; uncle, Clyde Austin of Junction City, KS; nieces, Sirena Autman of Houston, TX, Crystal Tarver Brokenborough, Tiffany Patterson, Natalie Waldo and Erica Geiger of Junction City, KS; step grandmother, Lillie B. Henderson of Junction City, KS; three sisters in law, Fannie Mae and Annie Lois Womack of Pensacola, FL, and Kerstin Tarver of Junction City, KS; step nieces, Tena Smith Phifer (James) of Northport, AL, Michele Denise Giles Ford Budgess of Birmingham, AL, Edna S. Hale (Willie) of Greenville, AL, and Gayla Womack Thompson of Pensacola, FL; step nephews, Willie Fred Smith (Henrietta) of Marietta, GA, Anthony Waldo of Salina, KS, Brian Womack of WA, Robin Womack of CA, and Kenny Womack of FL; stepmother, Jeri Tarver of Junction City, KS; step sister, Keeba Davis of Fort Hood, TX; and many loving family and friends. Public viewing will be at Penwell-Gabel Funeral, Cremations, & Receptions, 203 N. Washington Street, Junction City, KS 66441 on Monday, July 31, 2017 from 6:00 PM to 8:00 PM. The Homegoing Celebration will be on Tuesday, August 1, 2017 at 10 a.m. at The Second Missionary Baptist Church, 701 W. 10th St., Junction City, KS 66441. Interment will follow at Highland Cemetery, Junction City, Kansas. Add your memories to the guest book of Ola Womack. Please know that your family will be in my prayers. I knew Ola to be a very pleasant and likeable person. I am so sorry to learn of the passing of Ola. I remember how soft spoken she was in school and how kind she was to others. May God bless over her family and give them strength and comfort at this difficult time. I will always have fond memories of Ola. Her mother Miss Mae Ola had an open door and kind words for the friends of Ola and Virgie when we showed up at their house. Growing up on the West side Junction City was a nurturing experience for the youth. The city of Junction never had any recreational activities for black youth so the Moms welcomed us into their homes with supervision. Ola's parents were wonderful, patient and knew us and our parents...as a result we were well behaved. Ola was always so pleasant, loving and compassionate. She reached out to me and even sponsored my son in youth activities. She was a wonderful mother. Thanks for a great friendship and condolences to the family of Ola and Virgie. My sympathy is with you and your family on the passing of you "Loved One". I only wish there were more that I could do to help heal your sorrows. Her smile, her spirit and her goodness will remain alive in the heart of everyone who knew her. You are in my thoughts and prayers. I remember Ola from high school and junior high. We were in many classes together, and we both lived in Westwood. Ola wrote in my year book before we graduated, "Linda, It's been great knowing you these past years. Remember 7th grade when we had Mr. Moon? Well, stay sweet and may the flowers of your life bloom nothing but happiness. Love, Ola '68'" I wish I had kept in touch and had known Ola was in JC. I am so sorry she is gone as I remember her as one of the loveliest girls I knew in school. Kinney, your mom was a wonderful lady that always had a smile and hug for me when we were younger. Though I hadn't seen her in a long time I'm sure those things still rang true. May God be of comfort during this time.